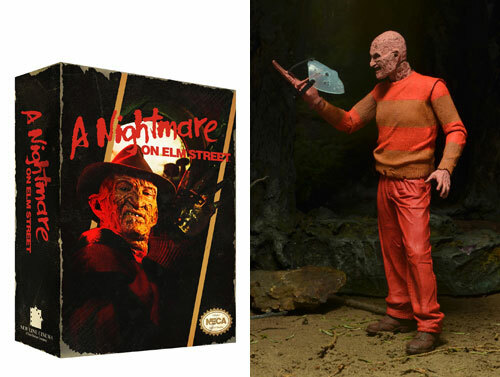 Just Announced: Nightmare on Elm St - 7" Classic Video Game Appearance Freddy Krueger! Inspired by the Classic 1989 video game, Freddy is the companion piece to the Friday the 13th Classic Video Game Jason, one of the hottest SDCC Exclusives this Summer! Click for more details and an extensive image gallery.